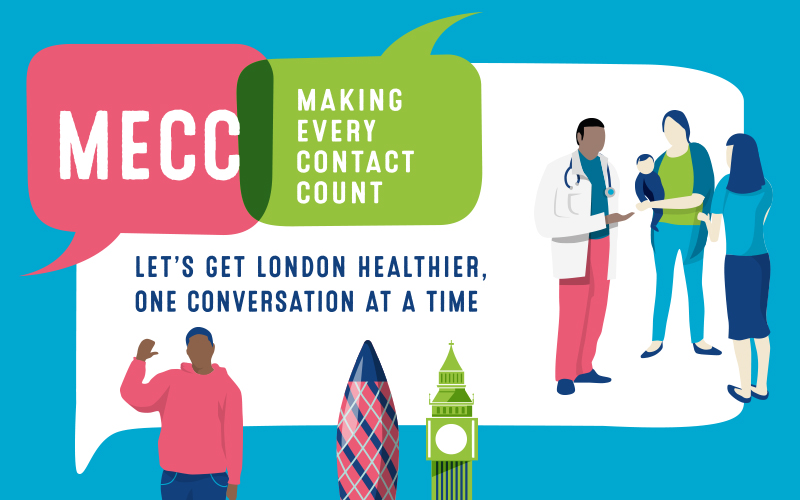 Making every contact count is about using the vast human resources across NHS, local authorities, voluntary and community sectors to give Londoners consistent, simple messages and signposting them to services that help improve their health and wellbeing. It has enormous potential to add value to the millions of interactions that happen in London every day between our combined workforce and the public. Read the case for implementing making every contact count in your organisation. Making the case for MECC has been designed to highlight the benefits of MECC to board members and gain buy in from senior colleagues.